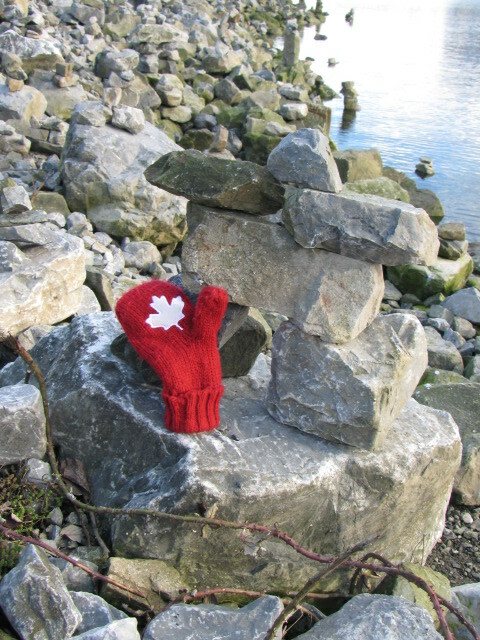 The Olympics are over, and there is a quieter feeling in Vancouver. The red hockey shirts, hats, mitts, scarves, weird hats, costumes, shoes, maple leaves, and flags have retired to closets. The spontaneous “woohoos!” have abated. And, I admit, I miss those crazy connections with strangers, and the upbeat energy. 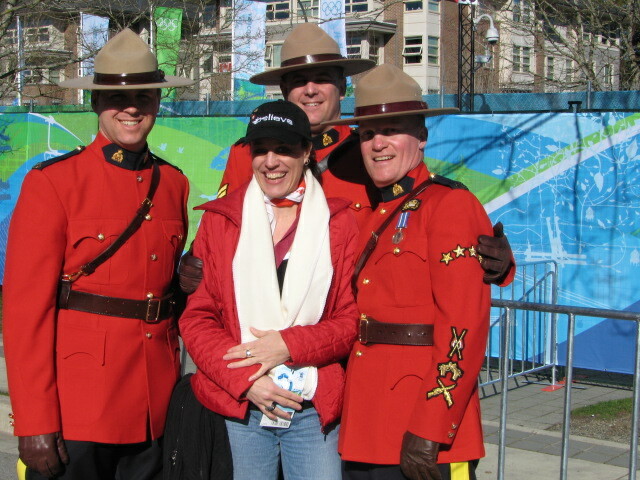 Something emotional and spirited took place in Vancouver during the 2010 Olympics, pleasantly catching a few of us off guard. 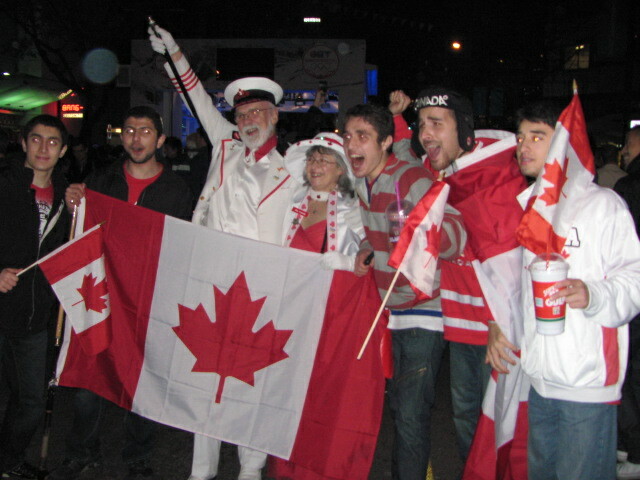 Post Gold Medal Men's Hockey Game! 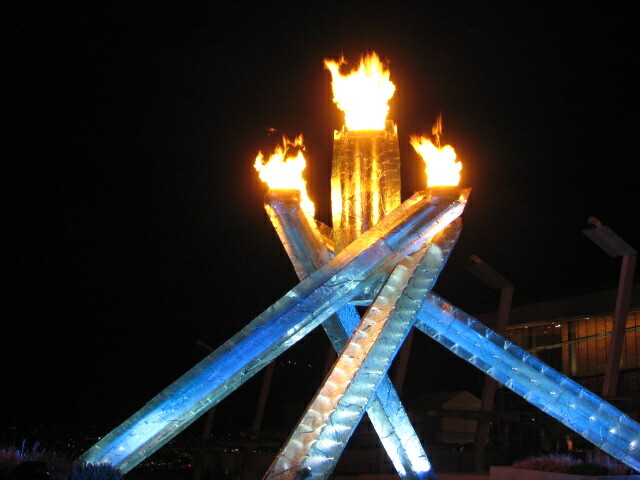 However, with the Paralympics are around the corner, hopefully, some of that enthusiasm will re-ignite along with the flame! I had a secret pleasure in observing the freedom that occurred with many individuals, and noted that a lot of people allowed their “bouffon” to emerge and take life a wee less seriously. It was like the Olympics gave permission for people to express themselves, release, and play. And, that’s what I did too. Play. I indulged in my “Canadian-ness” and got caught up in our patriotic rouge. 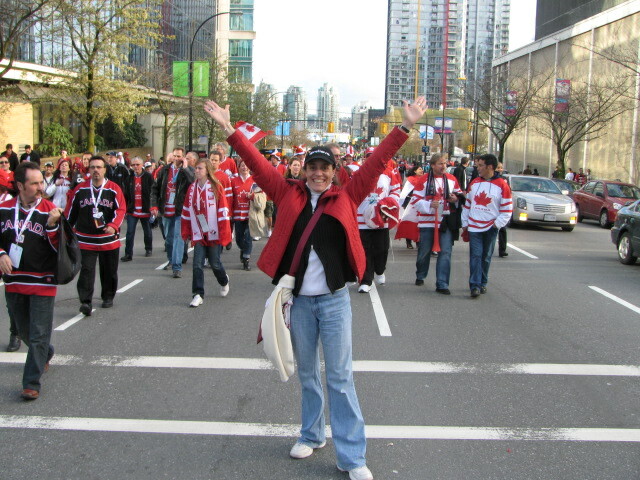 I became the Hockey Fan I was supposed to have been when I first won my Tourism BC twitter prize. I yelled “Louuu…” every time Roberto Luongo saved a goal, and jumped up & down screaming when Sidney Crosby saved the day. (what was happening to me?). 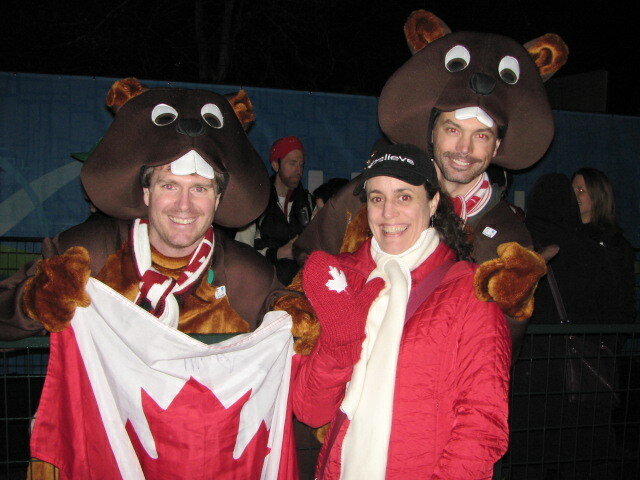 I had pictures taken with Canadiana as if I were a tourist in my own town. 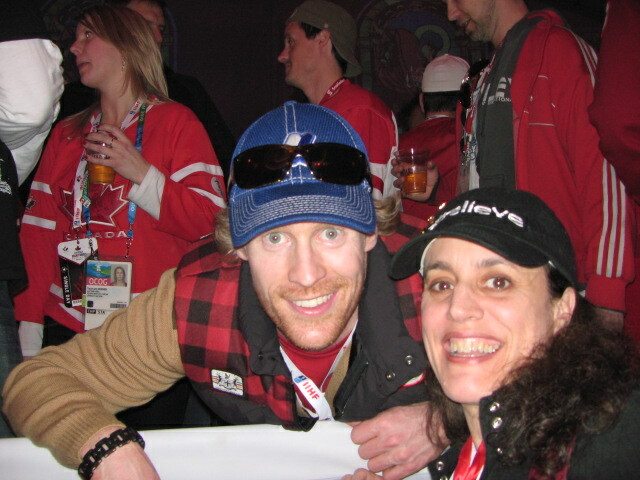 And, an extra special pic with Gold Medalist Skeleton Jon Montgomery! Me & Gold Medalist Jon Montgomery! My heart beat hard watching Joannie Rochette skate her Golden Bronze performance, I leaped off the couch as we witnessed the unexpected Gold medal snowboarding by Jasey-Jay Anderson, and the close Golden win of the men’s speed skating minutes later. Watching the athletes inspired me to “go for Gold” in my art. 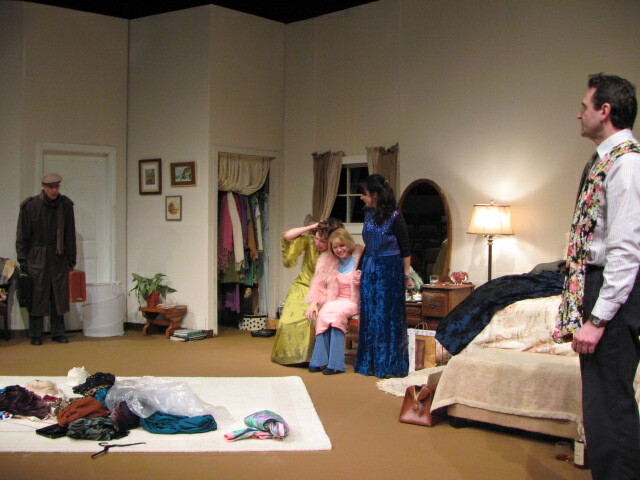 As all the athletes were striving for their best performances, my cast in “The Memory of Water” at the Deep Cove Shaw Theatre were also enjoying sinking deeper and deeper into their work, giving audiences memorable experiences. Just before our opening, I told myself, as I was directing, to “Go through the finish line, not up to it..” It feels good to know that’s exactly what we all did! Wow, it looks like you had a blast! I wasn’t really surprised by the way the Olympics affected me, although I suppose I didn’t expect to walk around with a ridiculous grin on my face for two weeks. It was an amazing experience, even from the other side of the country. And I’m really looking forward to the Paralympics. I probably will not be glued to my television in quite the same way, mostly because life is super busy this month, but I am particularly looking forward to the sledge hockey. So glad it made a hockey fan of you, by the way!